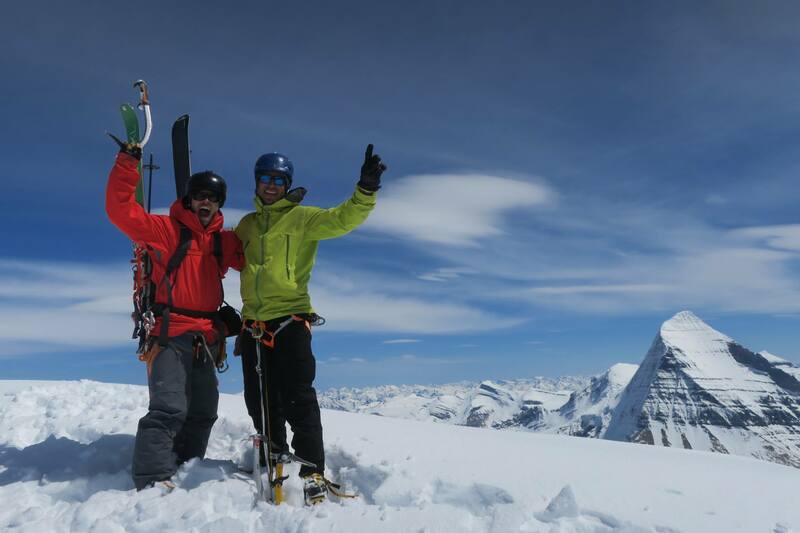 On May 21, 2017, Andrew McNab, Matt Coté and Ali Haeri successfully skied from the summit of Whitehorn Mountain in, what is believed to be, a first descent of one of the last, great, un-skied faces in the Canadian Rocky mountains. 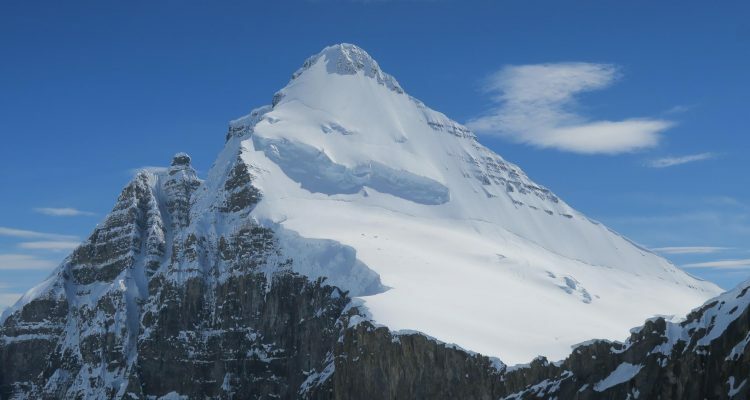 Whitehorn Mountain is a 3,399-metre (11,152 ft) peak located in eastern British Columbia, near the Alberta border, across the valley from Mt. Robson. Below is an interview with Andrew McNab about the descent. Whitehorn is kinda north west from Robson. It is the peak that stares down at you as go to Kinney Lake. It’s a super prominent feature on the skyline. It’s one of the furtherest north of the 11er’s. 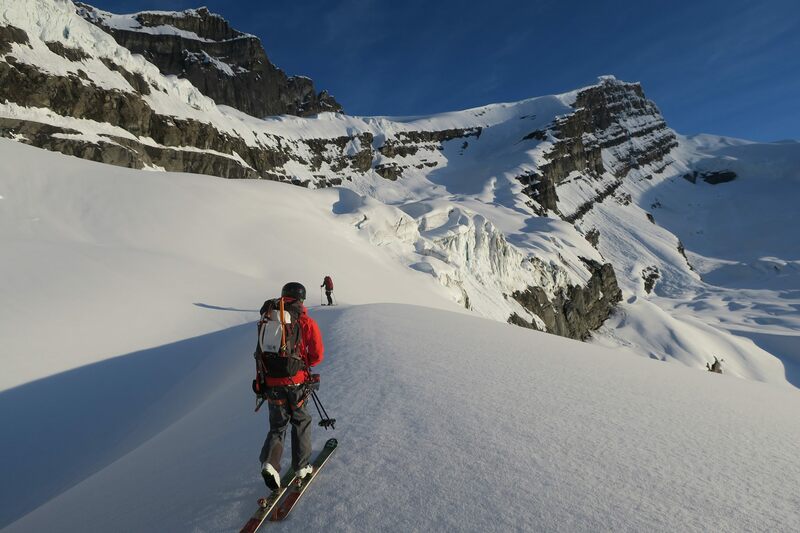 We skied the north face; according to Jon Walsh it was one of the last big un-skied north faces in the Rockies. 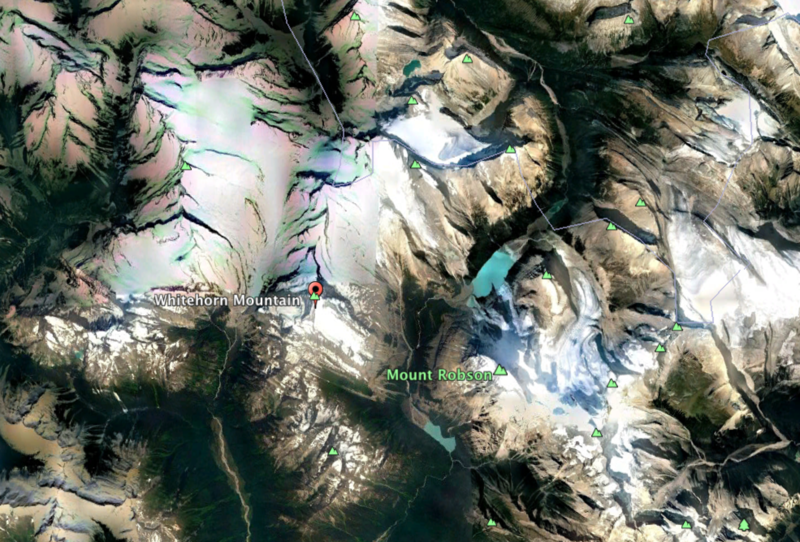 Whitehorn Mountain location near Mt. Robson on the Alberta/BC boarder. How many days was your trip? 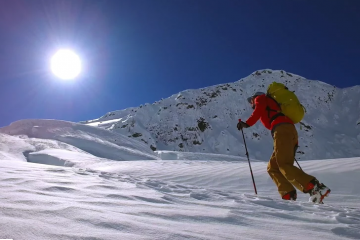 We spent 2 days at Whitehorn, then headed over to Robson to try for the north face. We ran into Dylan and crew as they were walking out and got the stellar news from Dylan, but unfortunately the weather window closed and we got denied on Robson. How was the skiing on Whitehorn? How long? How steep? What was your route? 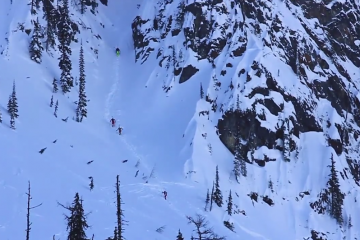 It was awesome: what steep skiing dreams are made of. We had carveable powder that sloughed super fast. It was wicked skiing. 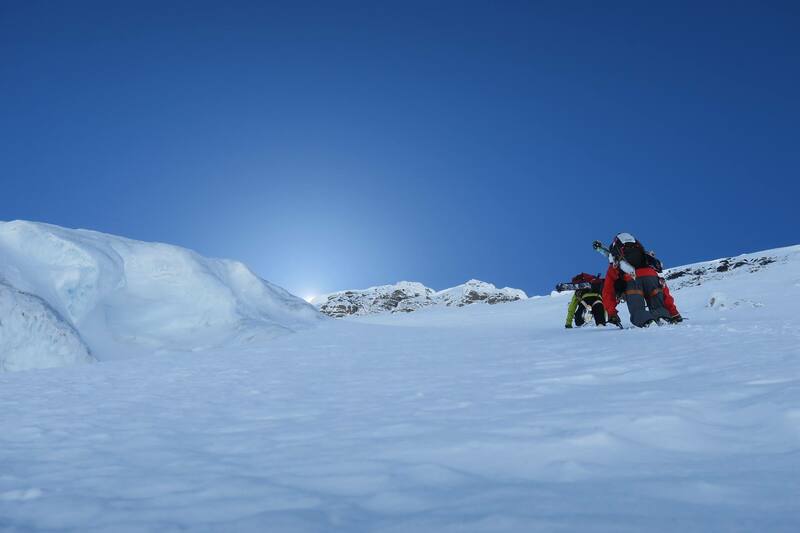 We skied from the summit, down the west ridge a bit then back into the coulee we climbed, then down the face. The face is about 550 meters long, I think and I would say average about 50 degrees. 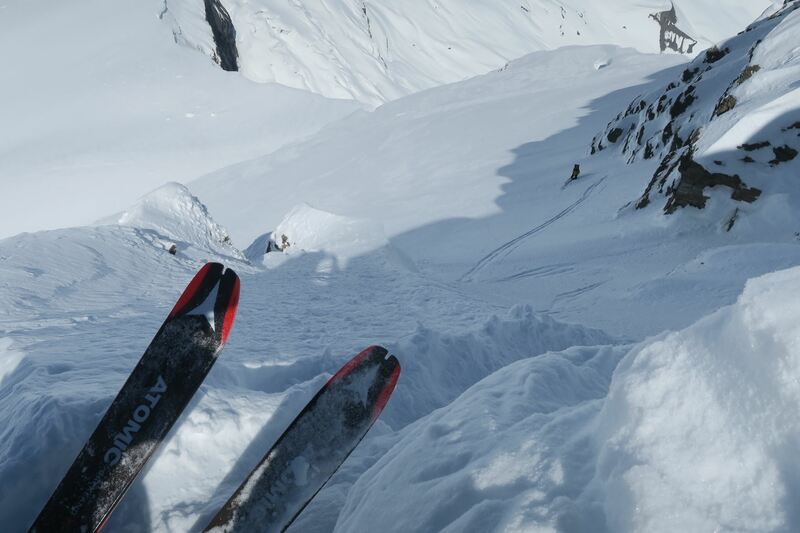 Andrew McNab about to drop in on Whitehorn Mountain north face. What was the approach like? The approach is not to bad, hike to Emperor Falls on the Berg Lake trail, then bushwack up beside Philips Creek into the headwaters. 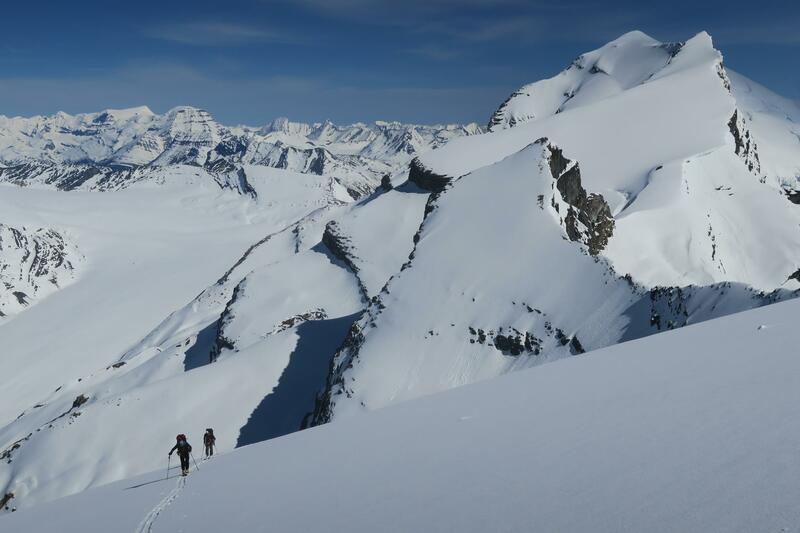 Then traverse through the moraines below the east face of Whitehorn and the toe of the Philips glacier. 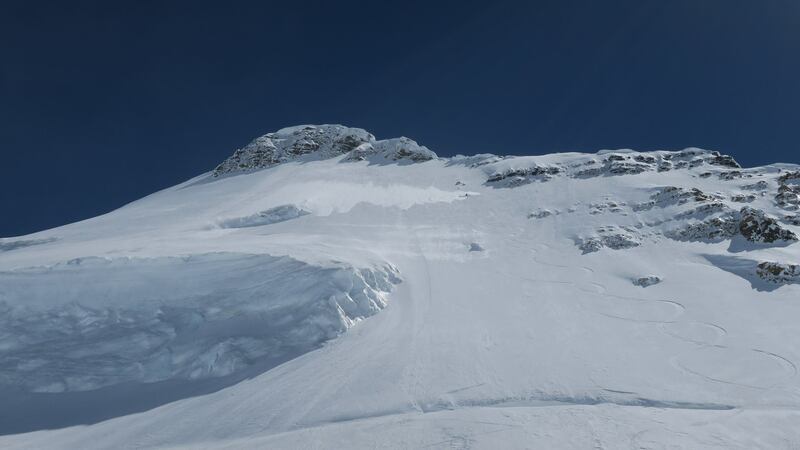 Then across some glacial ramp to a col between Whitehorn and Philips, then drop down and climb onto the Whitehorn Glacier, then up the face. What was the best part? Any scary moments? Skiing the face was pretty amazing, the conditions were unreal. The climb itself was pretty fun too. I had to climb a steep pitch and then dig through the cornice on an exposed rib on the west ridge, which was super fun and intense. Not really scary, rather just a focused few moments. 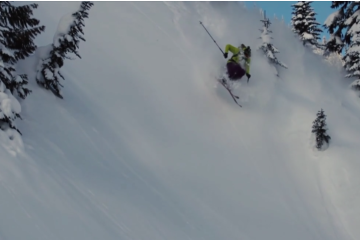 Matt Cote, skiing Whitehorn Mountain. I saw you skied the north face of Victoria too this spring. How does this compare? Yeah, we skied Vic the same day we drove north for Whitehorn. Snow conditions were the same. Awesome. Which made me think Whitehorn/Robson were good to go. Overall pretty similar lines. 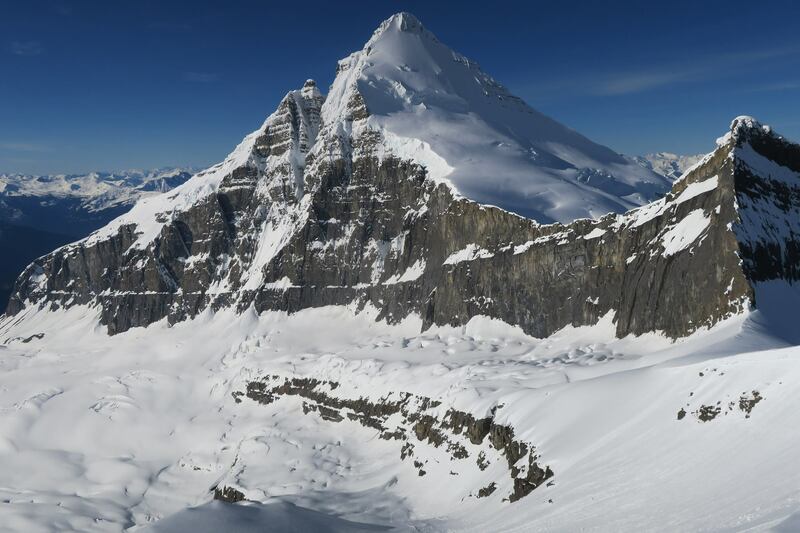 Whitehorn has a longer steep face, but overall super similar. Both are super cool glaciated lines that need some route finding to climb/ski. Nice. What other lines would you compare it to? It felt pretty classic rockies. Kinda like Athabasca, just way longer, steeper and further away.